Armenia, although a small country, is very rich in wild relatives of cultivars, including the ancestors and donors of such important cult ivated plants as bread cereals. The study of wild species of wheat, barley, goat grass, rye and others of the cereal crops represents a large practical interest. Progenitors of cultivars are often carriers of valuable attributes and features, such as, high drought and frost resistance, the ability to grow on relatively poor soils, and resistance to pests and disease. That is why wild relatives are valuable material for the selection of new varieties of cultivated plants. 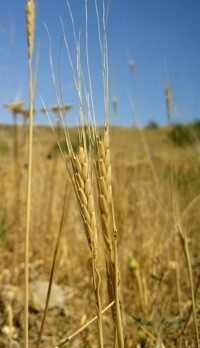 In addition to this, purely in practical terms, the study of wild relatives of cereal crops are of particular help in understanding the path by which many thousands of years ago the creation of the modern cultivated grasses from wild cereal crops took place, and in giving a more precise definition to the regions where the agricultural civilization arose. From that viewpoint the study of the history of domestic bread cereals helps to shed light not only on the history of agriculture but on the history of humans in a broad sense. 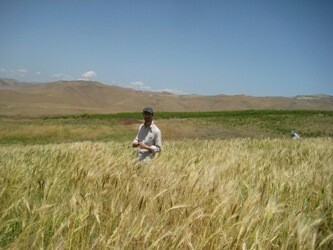 Conserving the rich gene pool of wild relatives of wheat cultivars in Armenia is an urgent concern, as more and more land is disturbed by growing economic activity, land privatization, and other factors. 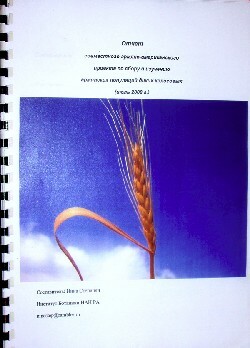 Therefore, it is extremely important to evaluate the different Armenian populations of wheat and other cereals, and to conserve this valuable material. This can be achieved through periodic population monitoring, conservation in situ, and through collection of a seed material for preservation ex situ. Previously, botanists have conducted numerous comprehensive studies of cereal crops, and also led archeobotanical excavations which shed light on the relatively early stages of the domestication of grasses. This current project will facilitate more comprehensive studies of the populations of wild cereal crops through the use of modern cytogenetic and molecular biology methods.